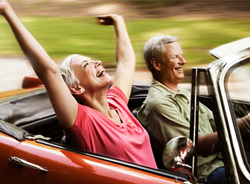 Your retirement should not be boring! 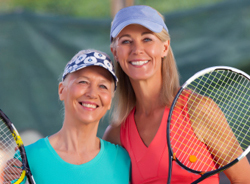 Vienna Square is one of the best retirement communities Florida has to offer. At Vienna Square, everything has been carefully thought out. You have the opportunity to choose between beautiful single family homes or maintenance-free villas. It all depends on what you are looking for. We are located conveniently in Winter Haven, which is less than an hour drive from Orlando and Tampa. You can easily enjoy visiting both fast-moving and action-packed cities from this location. This versatility is not available in many Florida retirement communities. In addition to being near these cities, you will be able to enjoy shopping, restaurants, and entertainment within Winter Garden. You can choose from any of our multiple single-story home models. These are elegant and spacious, offering quality you will thoroughly enjoy. Each floor plan has been carefully thought out to ensure you will have space to entertain and enjoy your days. The retirement communities Florida has to offer are not frequently able to provide this level of variety and comfort. If a single-story home is not exactly what your are looking for, we are sure that one of our maintenance-free villas will enchant you. We have two beautiful models of villas available. These come with standard features which include concrete block construction, two-car garages, great rooms, elegant dining areas, and under-roof screened verandas. You also have a wealth of additional upgrades available when you help to design your new villa. Feel free to contact us for any further information. Retirement is a time to get out and enjoy life. 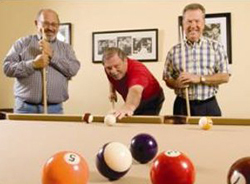 We offer a host of amenities to encourage you to spend some quality time having fun. Our 7,000 square foot clubhouse includes a ballroom, billiards room, state-of-the-art movie theater, and an exciting fitness center. You can also enjoy tennis in the sunshine. We have an amazing heated pool and whirlpool spa. To keep things exciting, we offer a wide variety of monthly events to entertain everyone in this community. The villas and single-story homes both come with basic 78 channel cable, free use of our facilities, monitored home security and more. Enjoy any of our optional services at modest prices, such as: laundry service, housekeeping, meal plans, wellness exams, scheduled transportation and medication management. You can expect the best from Vienna Square; we uphold high standards. 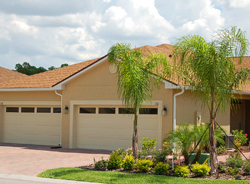 The retirement communities Florida has are not often as affordable for this level of luxury and peace of mind.